Step out of Busan with an excursion to Oedo Botania in Geoje--about 1h 55 min away. 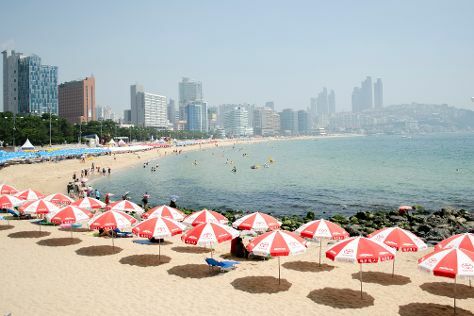 The adventure continues: enjoy the sand and surf at Haeundae Beach, tour the pleasant surroundings at Gwangalli Beach, contemplate in the serene atmosphere at Haedong Yonggung Temple, and get great views at Taejongdae. To find traveler tips, more things to do, ratings, and other tourist information, refer to the Busan tour planner. If you are flying in from United Kingdom, the closest major airports are Gimhae International Airport and Daegu Airport. Expect a daytime high around 22°C in June, and nighttime lows around 22°C. Cap off your sightseeing on the 12th (Mon) early enough to travel back home.